Turn Key Opportunity - Existing branch office in Class A building in Sterling, VA. is looking for an experienced Mortgage Branch Manager to grow the Sterling, VA market. High earnings potential. We'd like to offer a little help in your decision making. Fill out the form to see if you're eligible for a signing bonus! Why consider a Mortgage Branch Manager Job in Sterling, VA? We are a tight-knit team of mortgage experts focused on providing the best possible customer experience for every client. We have built a strong reputation over our 20 years in the mortgage business and have expanded from Maryland to cover the east coast from Florida to New Jersey. We are consistently recognized as a top lender in Maryland and nationally by several publications. 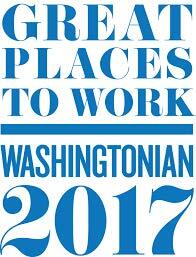 Great Culture: Named among Washingtonian’s 50 Great Places to Work, Apex Home Loans’ award-winning culture is centered around giving back, collaborating, and celebrating the small things. Full In-House Lenders: We take care of the entire mortgage process in-house with underwriting and processing in the same office, and have a dedicated marketing team to assist you in generating and retaining leads. Strong Benefit Package: We offer great pay and benefits including 401k matching, paid maternity and paternity leave, health insurance, employee events/outings, and more! Coaching and Training: We are always improving our processes and make sure to assist in every employee's professional development through coaching and team training programs. Will consider a Mortgage Sales Manager with a proven track record of managing a team who is looking for a Mortgage Branch Manager Job in the Sterling, Virginia market. Sign-On Bonus Available!!! Complete the form and find out what you may be eligible for.